Rumors have been flying about the Samsung and Intel-backed Tizen operating system recently, and none of them have been very positive. We’ve been hearing about canceled launches, half-hearted demos at MWC, and yet more delays. The latest Tizen-related leak isn’t quite as negative, as it concerns Samsung’s first phone to run the new OS. 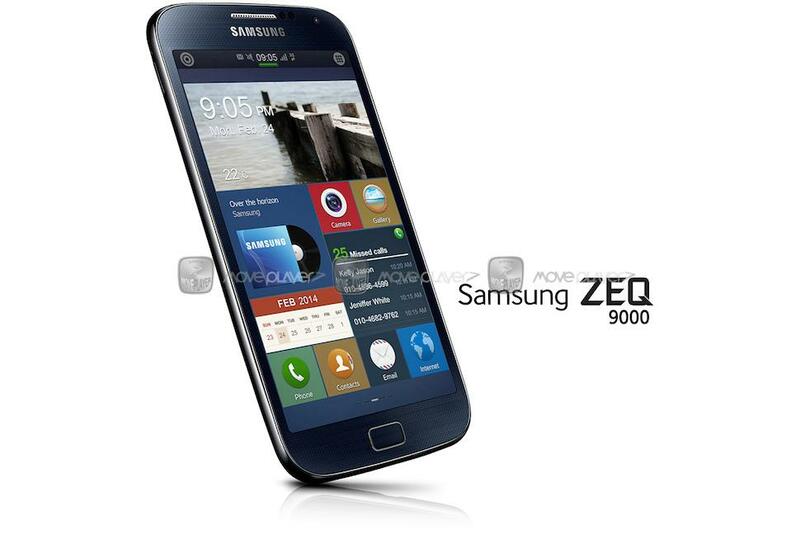 Published by a Korean website, the phone you see here is apparently called the Samsung Zeq Z9000, and it’ll be the first seemingly release-ready phone on which the OS will be demonstrated. Late last week, Samsung sent out a select few invitations to a private event in Barcelona on February 23, the day before MWC 2014 opens its doors, where Tizen will be discussed. Perhaps this is where the Z9000 will be revealed. The design of Samsung’s Tizen phone will be boringly familiar to anyone with even a basic knowledge of the company’s range. It shares a very similar style to the Galaxy S4 and spin-off devices such as the Galaxy Grand 2, right down to the front panel’s subtle textured look. It’s not ugly by any stretch, but it’s far from unique. As for the specification, if the leak is correct, the screen measures 4.8-inches and has a 1280 x 720 pixel resolution, while a trusty 2.3GHz Snapdragon 800 processor should power the device. The Z9000’s dimensions apparently make it slightly smaller than the Galaxy S4. Humdrum looks and specs aside, we’re here for the operating system, and the image also gives us a good look at Tizen’s home screen layout. Unusually, it puts the time, Wi-Fi and network reception bars at the top-center, rather than offset to the side, and there are multiple home screens, large Windows Phone-like tiles, and detailed notification alerts. It’s all rather attractive, and makes us want to prod and swipe at the screen, which can only be a good sign. At the moment, there’s no way to know if this really is Samsung’s Tizen phone, and not a cunning fake based on an existing Galaxy phone. Until now, all we were expecting at MWC was Tizen to be demoed on a ZTE Geek, however the similarity of the names – Geek and Zeq, perhaps pronounced Zeke – makes us wonder if rumors have been pointing us in the wrong direction, and we’ll see Tizen running on both a ZTE and a Samsung phone after all. Mobile World Congress begins on February 24 in Barcelona.